Cardinal Dolan speaks with Coptic Orthodox Christian Pope Tawadros II, center, and Bishop David of the Coptic Orthodox Diocese of New York and New England during a breakfast he hosted Sept. 20. Pope Tawadros and Cardinal Dolan pray in the sanctuary of St. Patrick’s Cathedral along with other prelates, including Bishop Nicholas DiMarzio of Brooklyn, left, and Bishop Gregory Mansour of the Eparchy of St. Maron of Brooklyn, right. During Pope Tawadros II’s visit to the United States, Cardinal Dolan and other Catholic and Christian leaders welcomed the leader of the Coptic Orthodox Church of Alexandria in Egypt, to the cardinal’s residence in Manhattan last week. “Having you here is a great blessing and inspiration,” said Cardinal Dolan in opening remarks before several tables of guests at the Sept. 20 breakfast. Pope Tawadros is regarded in the Coptic Orthodox Christian tradition as the 118th successor of St. Mark. 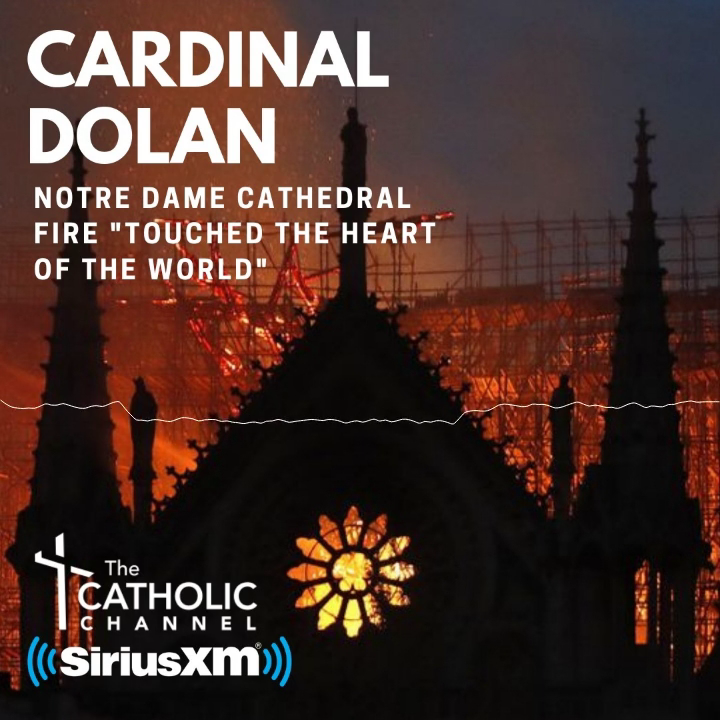 “We love you, even from afar, and we admire you,” Cardinal Dolan said. Also present to welcome Pope Tawadros were a number of other Catholic prelates, including Archbishop Bernardito Auza, the permanent observer of the Holy See to the United Nations; Bishop Nicholas DiMarzio of Brooklyn; retired Bishop William Murphy of Rockville Centre; New York Auxiliary Bishop John O’Hara; and Auxiliary Bishop James Massa of Brooklyn. Bishop Gregory Mansour of the Eparchy of St. Maron of Brooklyn (Maronite), offered the invocation. Many clergy members and faithful of the Coptic Orthodox Christian community of New York attended, including Bishop David, the spiritual head of the Coptic Orthodox Diocese of New York and New England, which Pope Tawadros is visiting until Oct. 11. This is the second visit to the United States for Pope Tawadros, 65, who became the head of the Coptic Orthodox Church of Alexandria in 2012. Pope Tawadros, saying that he comes from Egypt, where the Holy Family lived for “three years, six months and 10 days,” invited Cardinal Dolan to visit the Middle Eastern nation. “I do want to come,” the cardinal replied. The cardinal also spoke about a project in which the Catholic and Coptic Orthodox communities have “worked very, very hard.” It involves a “transaction” of property, namely the parish church of the former parish of Our Lady of Peace in Manhattan, to the Coptic Orthodox community, which hopes to soon dedicate it as a cathedral. “There are a few things to clear up,” Cardinal Dolan said. After breakfast, Cardinal Dolan led Pope Tawadros and other guests on a brief tour of St. Patrick’s Cathedral. In the sanctuary, Bishop DiMarzio offered a prayer, and Pope Tawadros, at the cardinal’s invitation, led the Coptic clergy and lay faithful in a moving blessing in song.